As soon as an individual is gifted with a beautiful life, open his eyes to see the colorful world. He loves to see the morning hues, the green trees, and the magic of seven colors in a rainbow. Everywhere he flips through is painted with different colors. Definitely these colors obviously reveal a message. It always speaks an individual’s mood and likings it the best interpreter of one’s hidden emotions. Sometimes, it is also seen that babies do react to colors. When a vibrant color is placed in front of babies they express their joy and enthusiasm being happy, while some dull colors do not leave much happy effect on them. What are the plausible benefits of colour therapy? For those who love to embrace history and its miraculous stories should know that color based therapy is not a new addition to any kind of therapy. Rather it marked the calendar date from times of ancient civilization of China and Egypt. Undeniably, today it has taken different direction along with scientific inclusion and is used to heal various types of diseases like asthma, nervous problem, arthritis, and mental problem and so on. The color theory specialists essayed that the technique has given incredible result in medical genres where treatments for relaxation, mental inspiration is a big issue .But today the color based therapy is just like Midas touch whose one touch healing process has initiated to save millions suffering from various health disorders. The therapy experts always believe in showcasing certain colors, which have the potential to affect the moods of the human beings. In fact, the people are taught deliberately to incorporate those colors in doing their day- to- day activities. Moreover, these colors are actually projected on a particular portion of the body and are received as a continuous vibration. In fact, the colors are used to create a proportion in their lives, learn to be creative, blow off the negative thoughts, and indulge in recreations. In this way, it helps to get a new person within themselves. As individuals are different, it is obvious that their problems are also distinct. 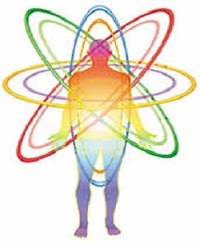 Now color based therapy is a holistic way to reach the core of each one’s heart in a unique way. This magical healer actually cultivates to know the actual cause of the problem. Suppose a person is suffering from mental problem, then the therapy would love to get to the root to eradicate the problem forever. Now the healing is executed in a way so that it would never come back. Moreover, the patient would find a harmony in their lives. It is essential for an individual to note that color based therapy actually leaves a positive impression on the individual. In fact, the wavelengths actually work on the living cells, thus generating a permanent healing of moods in a human being. The above mentioned are of the best ways the color based therapy recovers people from problems. The color healing therapy at the institute is performed by the experts.